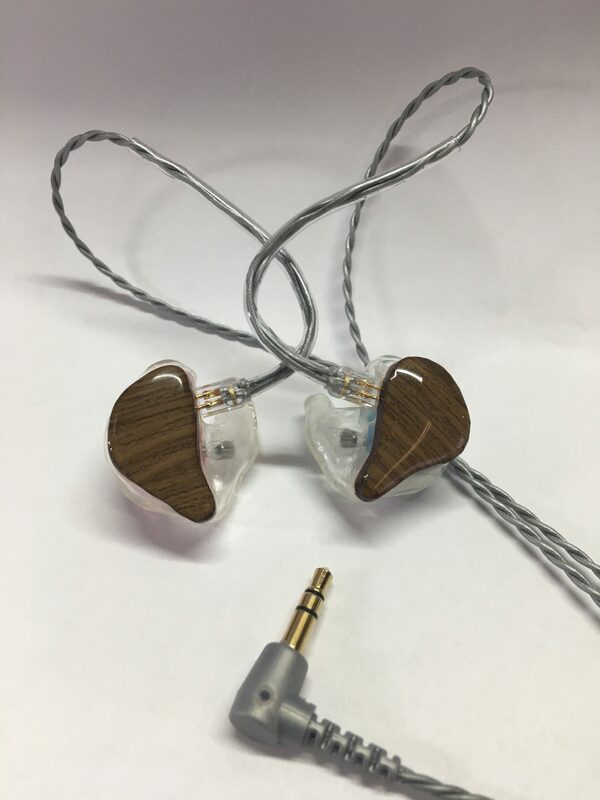 Model is a custom Handcrafted IEM using the very best balanced armature drivers in a proprietary four way electronic crossover design. Premium cables in both 50″ and 64″ lengths are standard. These monitors are designed to endure years of intense professional use. Shell construction including a reinforced connection to your cables insures they keep working. The canal tips are designed with a dual purpose; to acoustically enhance frequency response, and catch wax before it plugs up the dual ports. 4-Way Electronic V9-TruEC© Crossover Crossover, 4-Vibe-AR© Balanced Armature Drivers, Sensitivity to 1mV 120, Max SPL 132, Tuff-Pro Connect© w/max flex silver tinsel wire and gold plated contact, V9-ProShell© Hypoallergenic, Ccave Acoustics© with cerumen protection dual bore for acoustic balance.